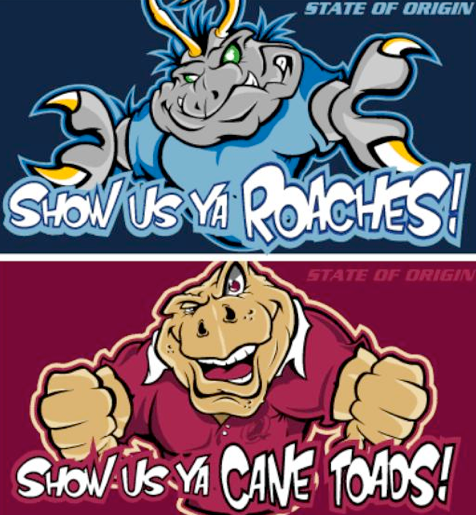 be there fifth year STRAIGHT beating NEW SOUTH WALES. I am going for NEW SOUTH WALES because they got good players in their team like Jonathen Thurston and Billy Slater and Willie Tonga Greg Inglis Sam Thaiday. Now I will name the good players in NEW SOUTH WALES, there is Jarad hayne, Brett Morris and Anthony Watmough and many more. My best Highlight for STATE OF ORIGIN is last year when a QLD player kicked the ball in his own team mates face. I enjoyed reading this blog post. It sounds like you are really into league. I wonder if it has anything to do with your cool name? How are your Saturday games going? All the best for the season. Yeah we lost the first game but no worries we are GOING TO WIN THE NEXT TWO GAMES!!!!!! YEAH!!! I enjoyed reading this post but check out my blogposts. Thank you for commenting on my blog you guys. 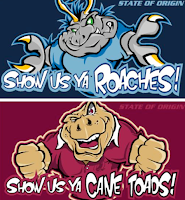 Waata man, QLD is going to win man. Thank you Mrs. Burt and Mrs.Langitupu for commenting. Hey guys. Thanks for the comments I really appreciate it from you guys.